In May, Old City II led the District in sales, accounting for 21.63% of units sold and 19.6% of dollar volume. 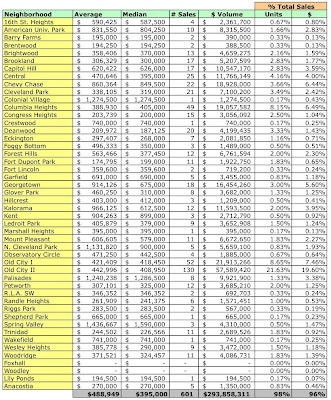 Condos dominated sales in Wards 1-3 and 6. Thirty two homes sold for more than $1MM; 5.23% of units sold accounted for 17.92% of the month's dollar volume. One new item I've added to the analysis is sales by neighborhood. 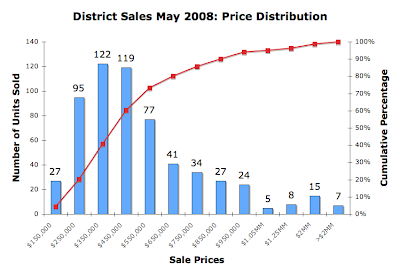 In May 2008 the District recorded 601 residential sales. In general, the average price fell 7.64% and the median price fell 4.13%. However, results for the condo market looked especially dire: unit sales down 27.15% YoY and dollar volume down [as in April] a whopping 38.57%. Although not as bad, single family home sales didn't escape the month unscathed. Average prices fell 2.57%, the median price fell 9.24%, the number of homes sold fell 5.28%, and the dollar volume declined 7.72%. Every ward had lower sales YoY. 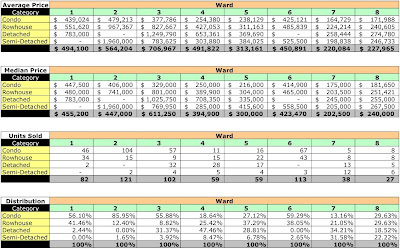 Wards 1 and 8 were alone in having higher average and median prices. 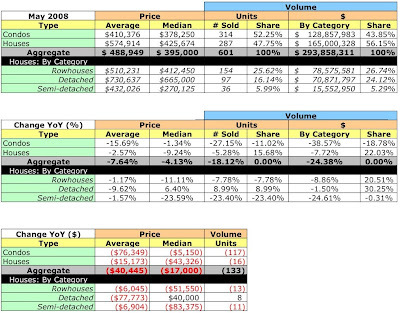 Otherwise, all wards had lower average sales prices and, aside from Ward 6, had lower median prices, too. 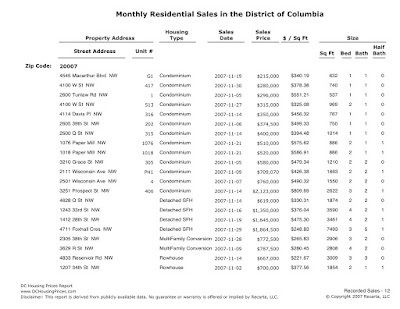 Ward 8 again had the steepest drop in sales volume, dropping a tad more than 49%. Condo sales ruled Ward 2 [again]: 85.95%. The chart below shows the distribution of May's recorded sales by sales price. Overall demand for single family housing is down 5.28%, as measured in unit sales. 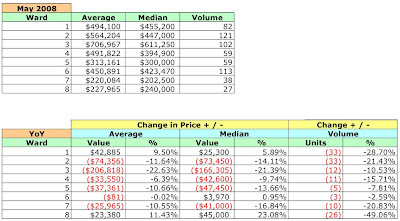 Average prices were down 2.57% and median prices were down 9.24%. 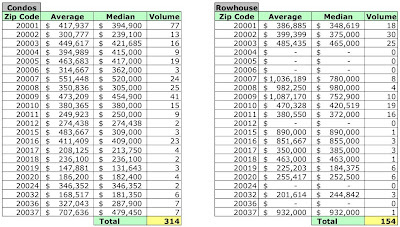 May 2008 average and median sales prices and unit volume by zip code. 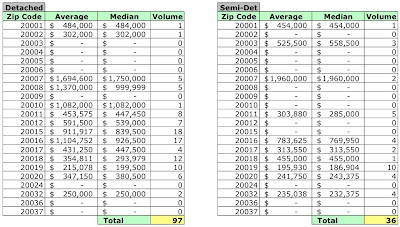 May 2008 average and median sales prices and unit volume by neighborhood.